See how to use the PlantingPlanner to easily create exciting garden borders with all year round interest. Selects the right plants for your garden borders - using your choice of style, mood and colour. Creates stylish planting schemes with stunning year-round impact. Low-maintenance, contemporary, family, wildlife, etc. - the choice is yours! Inspiring photographs and full cultivation/maintenance advice. Simple, interactive screens guide you through your options – choose colour, mood and style. The Weatherstaff PlantingPlanner generates stunning planting plans for your flower beds, uniquely tailored for your garden’s conditions. New to gardening? The PlantingPlanner holds your hand through the whole planning and planting process. For the experienced gardener it provides new inspiration and up-to-the-minute plant choices. Perfect for a small garden design – or creating planting plans for the flower beds of a stately home. Outside the UK? Click here for more information. Your individualised plan comes with full cultivation and maintenance advice. Detailed plant information and photographs help you to visualise the final plan. Yes, of course, you can do all the research yourself – study the Plant Encyclopaedias, find plants to suit your conditions, work out how best to combine them for year round interest in your garden borders, look up how to maintain them…. But if you’re short of time, need a helping hand or just want to be out there with a trowel in your hand, the Weatherstaff PlantingPlanner will do it all for you in minutes. Impulse buys can be expensive, especially if you find that your beautiful new plants curl up and die when they see their new home, or freeze to death after the first winter. Save money by buying plants which you know will thrive in the conditions of your own garden. The Weatherstaff PlantingPlanner will draw up a shopping list of plants ideally suited to your borders. Create a new plan whenever you want - find fresh garden design ideas. Tackle new flower beds whenever you’re ready. 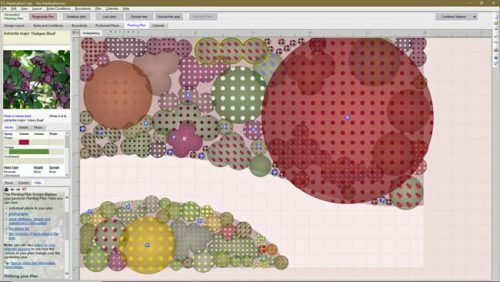 The Weatherstaff PlantingPlanner is a unique, new type of garden design software. It is smart software - it asks you about your preferences for a border and then, using built-in intelligent logic, it generates a stunning, bespoke planting plan, tailored for your garden’s growing conditions and your choice of colour and style. Be creative - interactive features allow you to adapt the generated plans - for example, substituting plants you don’t like with suggestions from the built-in encyclopaedia, or “locking” plants in position so that they remain in place when you re-generate the plan. Create beautiful new flower beds with year-round interest - or revamp old garden borders with striking new planting ideas. Each plan comes with full cultivation and maintenance advice. 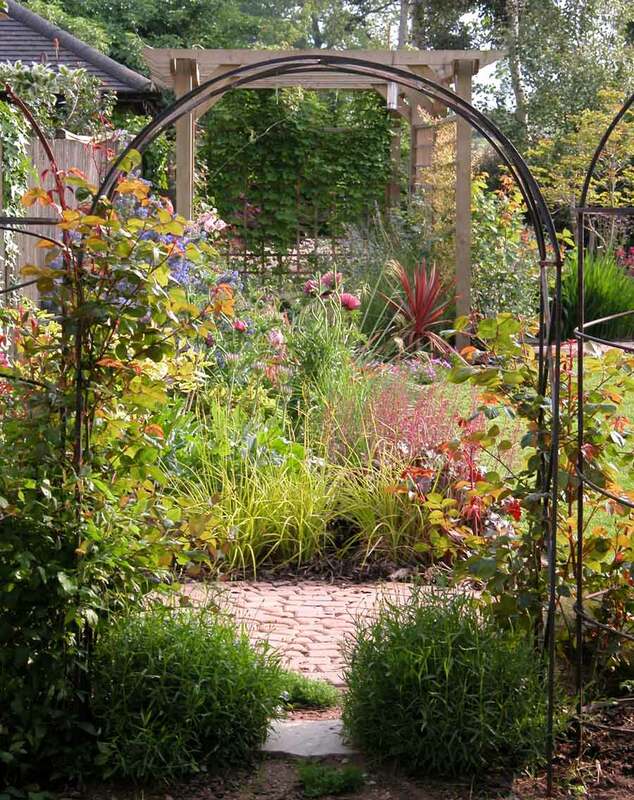 For less experienced gardeners there is built-in help and advice that will guild them through every stage of creating a garden border - from how to determine the type of soil to pruning and maintenance tasks. PC with CD drive running Windows® 10, Windows® 8.1, Windows® 8, Windows® 7, Windows® Vista or Windows® XP. 1280 x 1024 or greater. Create exciting planting plans with colour and structural interest throughout the year.